PT Nusantara Turbin dan Propulsi - NTP or known as UMCNTP is a reputable maintenance, repair and overhaul (MRO) company headquartered in Bandung, Indonesia. PT Nusantara Turbin dan Propulsi is a directly-owned subsidiary company of state-owned aircraft manufacturers PT Dirgantara Indonesia (Persero) or PTDI Group. UMCNTP is completely owned by PT Dirgantara Indonesia (Persero). 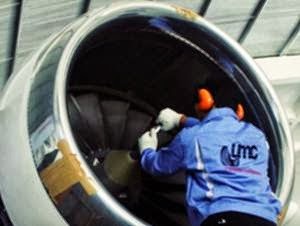 UMCNTP has core business competencies in maintenance and overhaul, manufacturing of parts and component aero engine and industrial turbine. Its business include Aero Engine Services, Industrial Turbine Services, Special Process & Training, and Engine Condition Monitoring. PT Nusantara Turbin dan Propulsi now has 3 sub business units (SBU); Aero Enginee Services, Industrial Turbine Services and Product Integration & Trading. Fresh graduate from reputable university/institute/polytechnic. Bachelor Degree (S1) majoring in Mechanical Engineering with minimum GPA of 2.75. Fluent in English and proficient knowledge in Computer literate. Diploma (D3) majoring in Mechanical Engineering, Physics Engineering with minimum GPA of 2.75. Diploma (D3) majoring in Industrial Engineering with minimum GPA of 2.75. Diploma (D3) majoring in Mechanical Engineering, Aeronautics with minimum GPA of 2.75. Diploma (D3) majoring in Electronics, Electrical with minimum GPA of 2.75. Diploma (D3) majoring in Graphic Design, Multimedia Design, Visual Communication Design, Informatics Engineering with minimum GPA of 2.75. Able to make website design is preferred. Graduates from reputable university/institute (minimum accreditation B). Diploma or Bachelor Degree (D3/S1) majoring in Chemical Engineering with minimum GPA of 2.75. Minimum 3 years of experience as Supervisor of Shop Maintenance, preferably at Chemical Treatment. Diploma or Bachelor Degree (D3/S1) majoring in Accounting with minimum GPA of 2.75. Minimum 3 years of experience as Supervisor of Accounting. JobsCDC.com now available on android device. Download now on Google Play here. Please be aware of recruitment fraud. The entire stage of this selection process is free of charge. PT Nusantara Turbin dan Propulsi - D3, S1 Fresh Graduate, Experienced PTDI Group August 2017 will never ask for fees or upfront payments for any purposes during the recruitment process such as transportation and accommodation.